Credit cards offer the simplest way to conduct transactions when trading binary options. Since every online transaction has some form of credit card usage attached with it, it can make more sense for some to just use their card in the first place. The process is pretty simple and similar to all the other online payments that require a credit card to process transactions. Funds can be deposited within a few minutes and withdrawal is also fast, once you get past the verifications done by the broker. Some sites even give out better offers to members who pay through their credit cards. These offers include an added initial deposit bonus or a lowered limit of minimum deposit. Note that as Binary options trading is not exactly betting but very close to it, American Express does sometimes reject deposits at binary options brokers. Nevertheless the following sites accepted our Amex card when we ran test deposits. 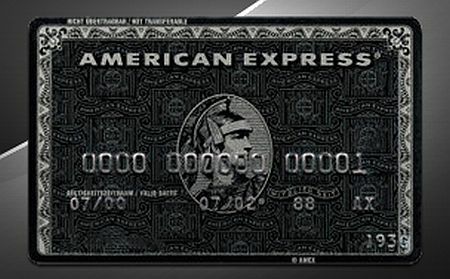 This is another binary options broker that accepts American Express cards. New users get a 25% bonus of the total deposited amount on depositing for the first time. The minimum amount to open an account is pretty high and is set at $500. The catch is in the minimum amount that you can bet on, which is set at a mere $10. It is also among the handful of brokers that give traders the facility of unlimited demo account. This can give any new trader sufficient time to understand the market and trade accordingly. The variations don’t end here. Even simple trading options like high/low have sub–varieties that further enhance the experience of a member. The user interface is quite informative and traders can see the amount they have bet as well the returns they can get. Payouts are in excess of 70% and may reach up to 350% in some cases. Higher payouts depend upon the asset and the type of trade it is involved in. Binary.com also presents an accurate analysis of the market variation throughout the day. This involves a detailed analysis that uses data like payouts and bets placed, which helps members get a rough estimate of the overall movement of the market.